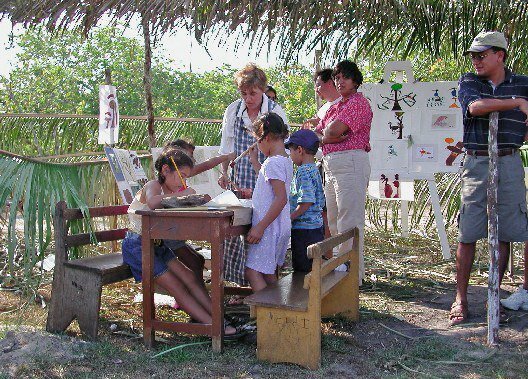 The first half of the year, 2001 was Save World Draw’s first big project overseas in Belize. 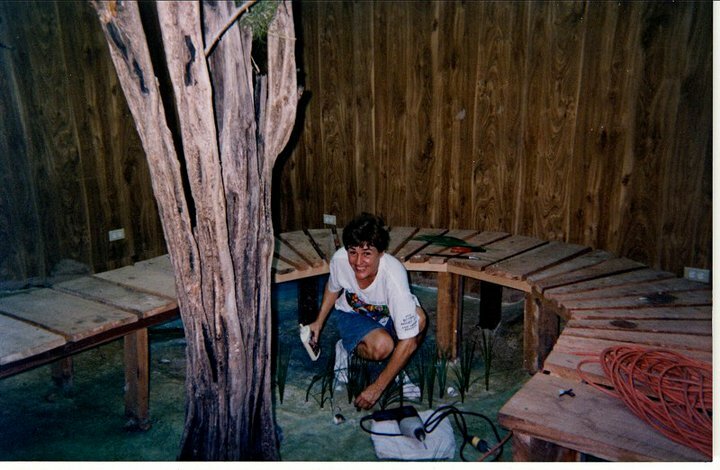 I was to design and build an education exhibit for the Belize Audubon Society. 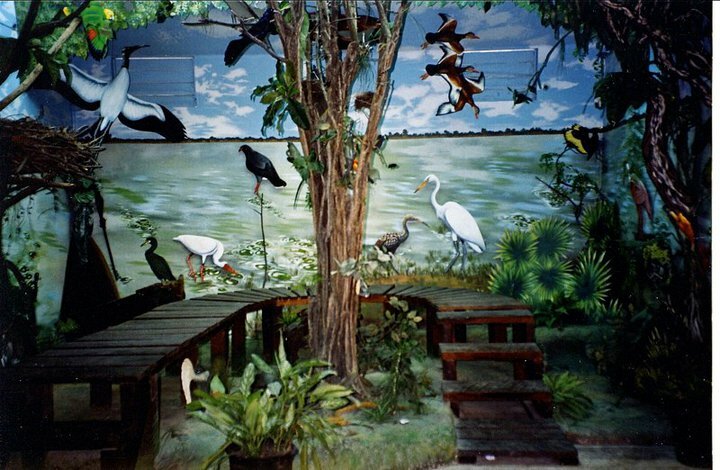 I was responsible for building a educational exhibit that teaches local children about conservation of migratory birds as well as the protection of the endangered Jabuir. The Jabiru is the largest flying bird in the Western Hemisphere. 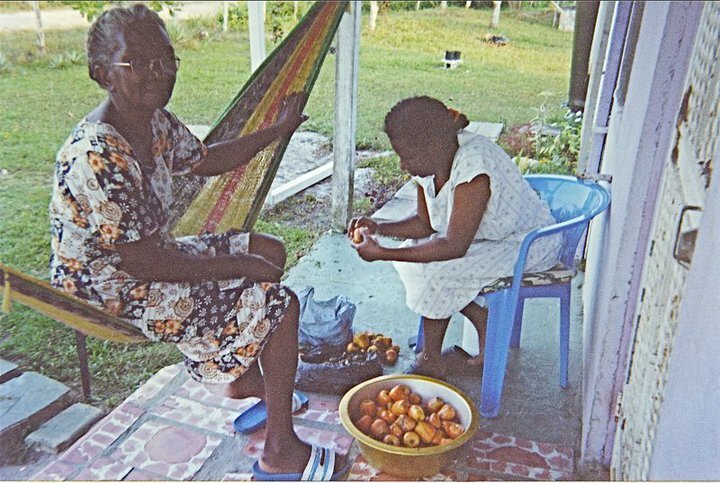 It was a six month job tour living in Crocked Tree Village with Miss Norma and her daughters. The above photo is the finished exhibit just after it was built and I thank the many volunteers who finished painting it. To this day bus loads of Belizean children with their teachers and a guide from the Belize Audubon visit this bird sanctuary and learn from this exhibit. Belize is in the huricane belt with floods and high winds so repair work is always in need here. Donations need to be specifically designated for this effort at Crooked Tree via the Belize Audubon Society so the money will reach the purpose it is meant for. Thank you.